Having a manager who's style is the polar opposite of your own, leading to miscommunication and frustration on a daily basis. Having co-workers who don't appreciate your Interaction Style and who do not respect your opinions. Having a job that doesn't allow you to communicate in a manner that makes you feel happy and fulfilled. Having a job that doesn't promote or value your particular Interaction Style. 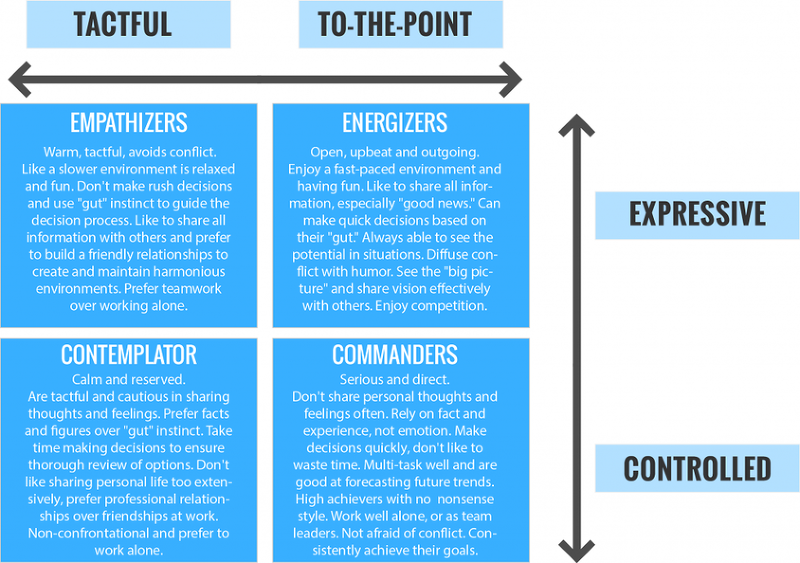 What many people forget is that there are four different Interaction Styles. That means, at any given time, as much as 75% of the population could be thrown off by your style and unable to relate to you very well. Thus, it's important that we take note of how our Interaction Style can be misinterpreted by others in the workplace (especially, those with a style that is opposite of your own), so that we can work hard to minimize conflict and breakdowns in communication on-the-job. 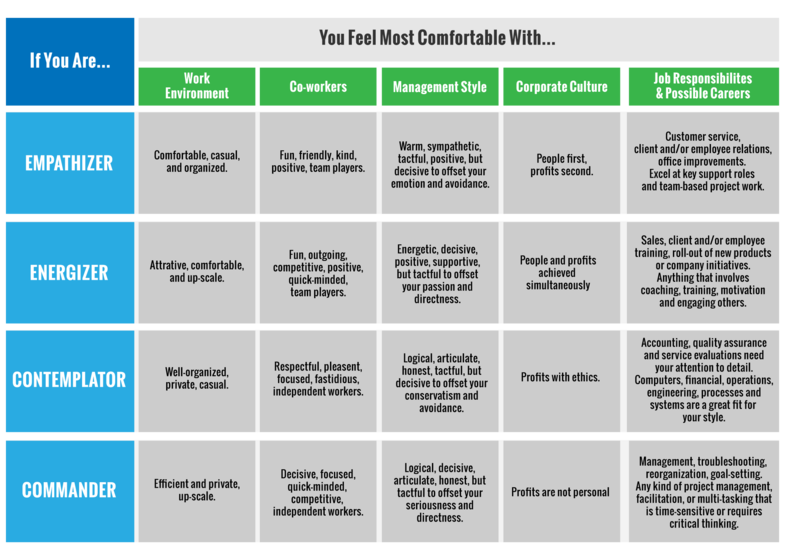 Take a look at the grid below to see how you might be mis-perceived by others: Interaction Style Assessment | Work It Daily OUCH! The information above isn't fun to read, but we must remember that our strengths are our weaknesses too. Your Interaction Style serves you well. You wouldn't have developed it over the years if you didn't find it effective. Yet, we must also recognize that choosing to be one style means having qualities that won't always be appreciate by others. How do we minimize any negative effects from our Interaction Style? We choose careers, manages and companies to work for that embrace and leverage our unique style. Here is a chart that can help you see how to assess what kind of job will suit you best: Interaction Style Grid | Work It Daily Can you see how your style impacts your ability to be happy on-the-job? Think of the one job in your past that you hated the most. Do you now have some insight as to why it wasn't a match for you? 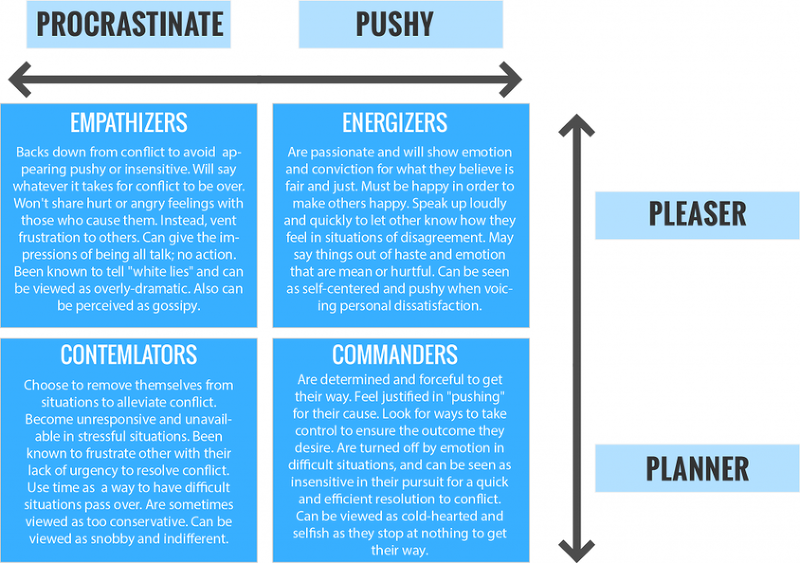 In summary, Interaction Styles impact our ability to achieve goals in two ways. First, the Interaction Styles of others have a direct impact on our perception of our career situation. You must make sure you recognize how people perceive things differently, based on their own Interaction Style. Secondly, each Interaction Style has both strengths and weaknesses. Recognizing how they impact your ability to succeed can help you remove the roadblock holding you back from the personal and professional satisfaction you seek. Thus, the more you strive to understand and appreciate all the Interaction Styles, the easier it will be to find ways to work with them. leverage your won strengths as much as you can while working to minimize the impact of your weaknesses and your career will go to new heights!